Temperatures Upto 325 - 350 deg cent. 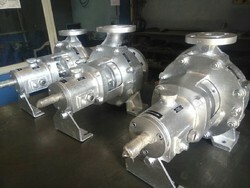 We are offering Hot Oil Pumps to our clients. Thermic Fluid - Hot Oil Circulation Pumps.